Common Misconceptions that Every Wheelchair User Hates. I think it’s fair to say that no one is a real fan of stereotypes. They’re usually common misconceptions that we’d all much rather dispel. 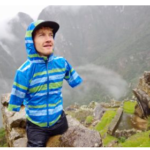 Well, the same can be said for false stereotypes often attributed to disable people, and here are my top five person pet peeves, that I’ve had the misfortune of encountering on my adventures! This one really gets my goat. I’ve no idea the reasoning behind or why people feel the need to do it – but the amount of times people have raised their voice when speaking to me just because they think I’m hard of hearing as well as being in a wheelchair, is astounding. Perhaps they think that because I’m lower down I’ll hear less? Whatever it is, it’s annoying and I really wish people didn’t feel the need. Nothing feels more insulting than having a middle aged person come up to you in a bar and try and congratulate you for leaving the house and coming out with your friends. As if it were some mammoth achievement that you’d managed to cross the threshold of your front door. It’s unnecessary and embarrassing. I live my life just like any other person would, so why do you treat me any differently? You wouldn’t pat your friend on the back for meeting you at a shopping centre for a day spent mooching around – would you? So save your congratulations for someone deserving, please. Another common misconception is when folk see you’re in a wheelchair and automatically assume that you just happen to know every other person in that region who is also in a wheelchair. No pal, I don’t know your 14 year old cousin who has a hip condition. That’s not how disability works. It’s not some exclusive club that we all join and have to pay membership for. There is nothing worse than having someone come up to you and look like they’re about to speak to you, only to then have them turn to the person standing next to you and speak to them instead – thinking that you are unable of holding a conversation on your own. This situation also extends to cashiers, with actual scenarios unfolding where I’ve given money to the till checker to pay for something, and they’re proceeded to hand MY change to a friend who’s stood next to me. It’s infuriating. Similar to being asked if I know every other wheelchair user around town, it’s also really annoying when someone assumes I want to hear about that one time they had to sit in a wheelchair for a couple of months because they broke their leg playing football or something. Okay, cool? What am I meant to do with this information? Do you think I’m interested in knowing that? What’s it got to do with me? Oh… you just made that connection because I’m disabled and you think you can suddenly empathise with me or that I need your empathy in the first place? Alright, alright… sorry guys. I know this one was a little ranty, but hopefully you had fun reading it and maybe you can relate to some of these situations yourself – or have even worse experiences that you could share? 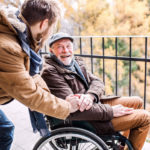 If you liked this article and would like to see more on this topic and many, many others, including – “Parenting Tips after a Spinal Cord Injury”, then be sure to check out the Passionate People blog site for more.